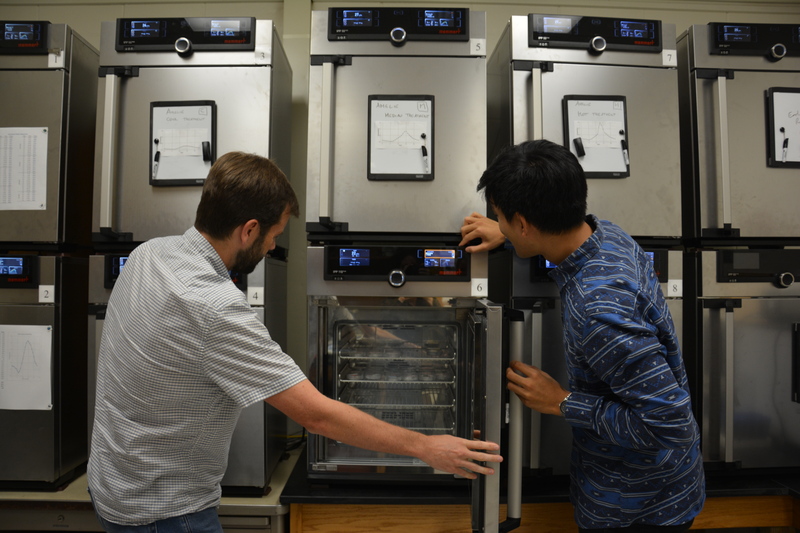 Between the humid room of lizards, the field trips to Florida, and the laughter between him and his students, Dr. Daniel Warner’s research lab, the Warner Laboratory, is one of a kind. 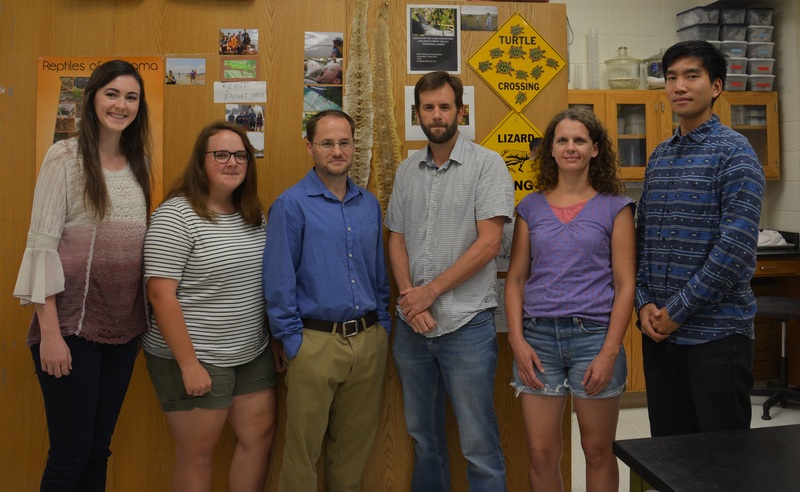 Dr. Warner, a prominent researcher in the Department of Biological Sciences of COSAM, focuses his studies on how the environment shapes phenotypic variation, specifically in lizards and other reptiles. With the help of several students ranging from undergraduate to postdoctoral, Warner examines how environments during development impact characteristics like offspring body size, behavior, physiology, and performance to answer questions about how natural selection influences the way embryos respond to the environment. The team’s field studies in Florida provide a hands-on experience for students, and ensure that laboratory studies are ecologically relevant, which is necessary to answer Warner’s most pressing research questions. Out of his many studies, one regarding the plasticity of development in the brown anole lizard stands out. Warner explains how this lizard is a great subject not only because of its reproductive capabilities, but its status as an invasive species makes it particularly interesting to examine how the species responds to environments outside its native range. 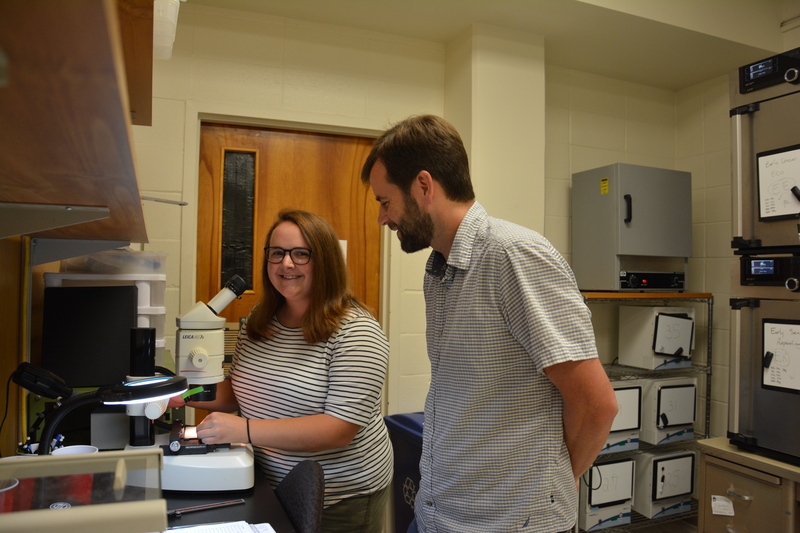 Dr. Warner and his team study how the embryonic environment for these lizards influences the developmental patterns and eventual fitness of the organism. Variables like temperature and moisture in the embryonic environment can be manipulated to study their impact on development, survival, and reproduction. Using this information, Warner goes on to study natural selection on several islands and what certain phenotypes mean for survival. 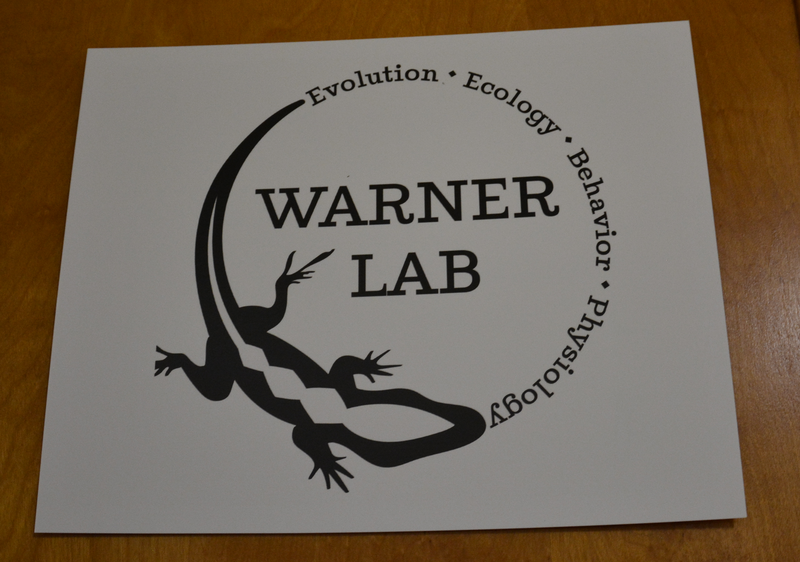 When asked how his studies of lizard phenotypes and fitness could impact humans, Dr. Warner explained how there are “definite implications in terms of conservation in my research”. Whenever invasive species become a problem in an area, there is always a question about eradication. Some of his studies, including ones about egg incubation and its effects on survival, could help to predict the future success of an invasive species, like the brown anole lizard, in areas where it does not yet occur. Along with conservation, Dr. Warner and his team are evaluating the effects of urbanization on rates of naturalization and invasion. With urban land area increasing at a rapid pace, organisms have to cope with those changes or seek out appropriate habitat. The main focus in this area is to better understand how urbanization facilitates invasions. Due to concrete surfaces and few trees, cities have higher temperatures, which could potentially affect egg hatching success and the phenotypes of offspring. In turn, this has the potential to dramatically impact populations of certain species. Warner and his students emphasized the importance of putting in the effort for individuals interested in a research career, because research is incredibly self-driven and will lead to intellectual independence. “The more time someone spends in the lab, the more they get out of it,” Warner explains. “It starts with doing small tasks that will then become learning opportunities for students who ask questions and design experiments”. Along with the academic benefits of joining a research team, Warner’s field study trips to Florida are bonding experiences that bring people together and create a family environment, which is evident once you’re around this fun and enthusiastic lab group. Dr. Warner and his team in the Warner Laboratory. Welcome to the Warner Laboratory. 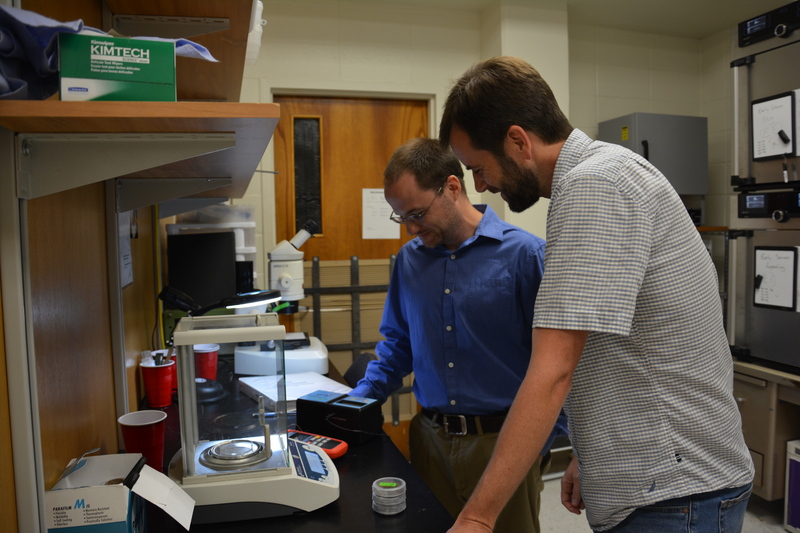 Dr. Warner with Josh Hall, a Ph.D. student, conducting research in his lab. Dr. Warner with Sarin "Putter" Tiatragul, a student pursuing his master's degree, checking instrument data in his lab. 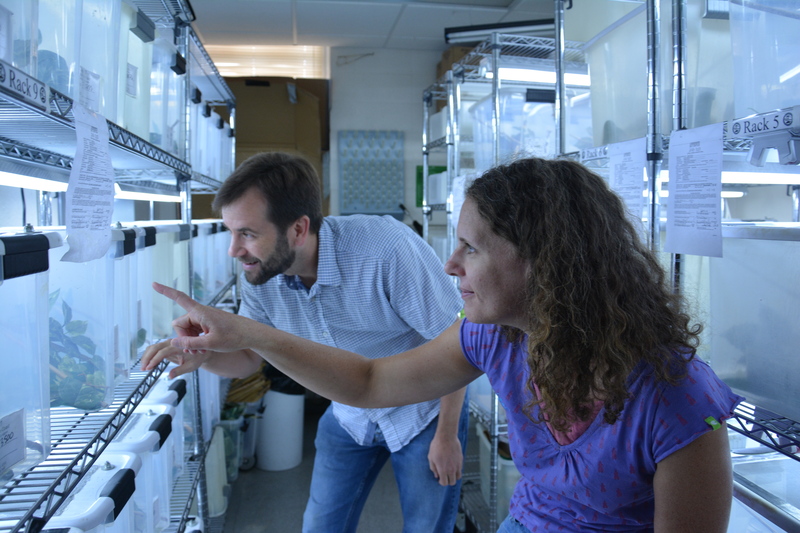 Dr. Warner with a postdoctoral researcher, Dr. Amélie Fargevieille, in the warm and humid lizard room. Dr. Warner with Jenna Pruett, a Ph.D. student, working together in his laboratory. 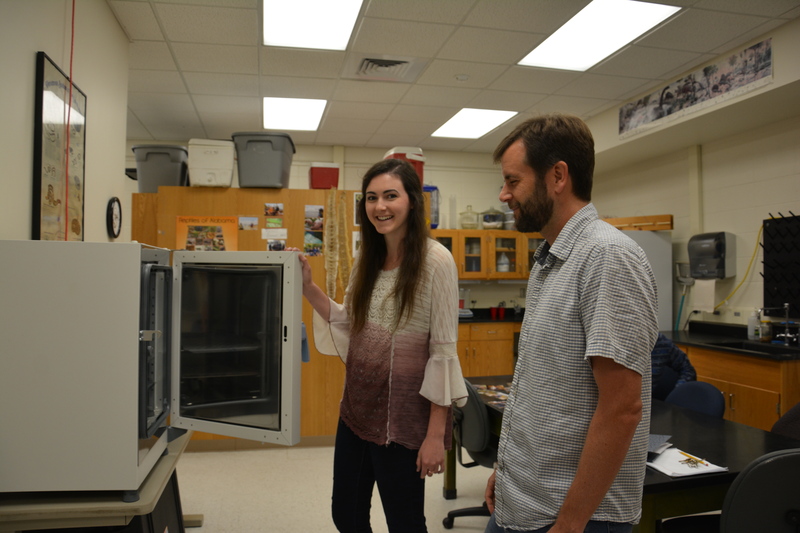 Dr. Warner with Kaitlyn Murphy, a Ph.D. student, in his laboratory.